According to Baltic Fleet Commander Admiral Aleksandr Nosatov , "the year 2019 will be very interesting and rich in varied events"
KALININGRAD, January 12. /TASS/. 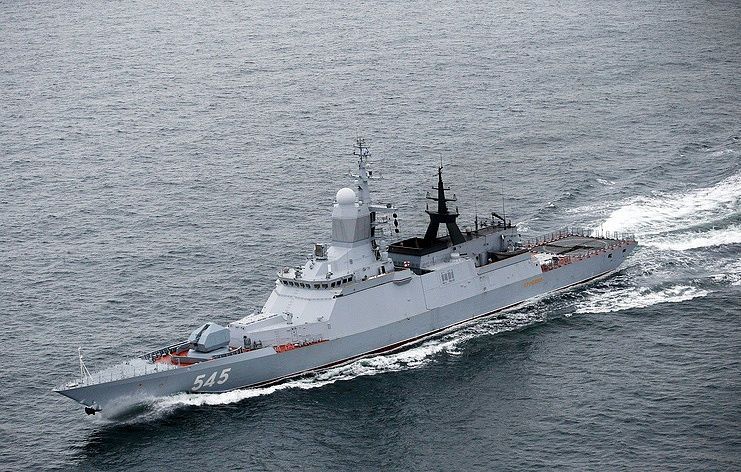 Warships of the Russian Baltic Fleet are due to make more than ten long-distance voyages in the World Ocean in 2019, Baltic Fleet Commander Admiral Aleksandr Nosatov told reporters on Saturday. "In 2019, over ten combat missions are scheduled for the fleet’s ships," the admiral said adding that they would take place in the Baltic and Mediterranean Seas and the Atlantic along with other remote areas of the World Ocean. "Ships and groups of ships will accomplish missions not only in the zone of the Baltic Fleet’s responsibility but also in the zone of responsibility of third fleets," he said. According to the commander, "2019 will be very interesting and abundant in varied events." "This will be a year of qualitative advancement for our fleet," Nosatov said noting that "all-level and varied drills" were also scheduled for the fleet’s coastal defense troops and air arm. The commander confirmed that "the fleet will continue routinely renovating its air arm, ships and coastal troops. ".